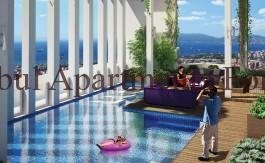 Spectacular sea view apartments for sale in Istanbul . 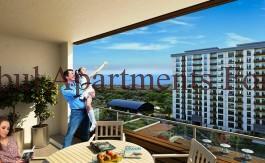 We here at Istanbul Apartments For Sale have many clients enquiring for sea view properties in Istanbul . These can vary as to which area and what your exact requirements are including the most important detail which is your budget . 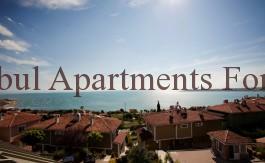 Taking all this into account we are able to gather the information and provide you with the best selection of sea view apartment in Istanbul avaliable for your needs . It is easy to see why so many of us would like to own a home in Istanbul with sea view for the most stunning locations can offer us such charm and a peaceful place to live or just as a holiday home. The coastal line of the Marmara sea Istanbul is from East to West within this impressive City there is a great mix of tradtional old and modern new sights and buildings . In the European side of Istanbul with New developments taking place to hold with the demand of its visitors and property investors you can find a reasonable sea view apartment with prices starting from 185.000Usd . At the higher end of the market there are properties which are rarely coming on the market for sale having that spectulat Bosphorus sea view which are starting in the million dollar range so here this explains the value of such a wonderful City everyone wants a piece of Istanbul it is our number one hot spot for foreign buyers . There are new projects which are providing investment buyers with pre-launch prices and easy payment terms please contact Armaya International for more information on these.